Four Families with Birthdays at the same time??? What else would you do except for an amazing Scavenger Hunt in Portland Oregon!! 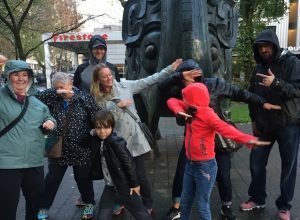 This group of Fun Loving Families created life long memories and lots of stories to share during an afternoon of fun in Portland. What a great way to explore the city, create memories and have a great time! !